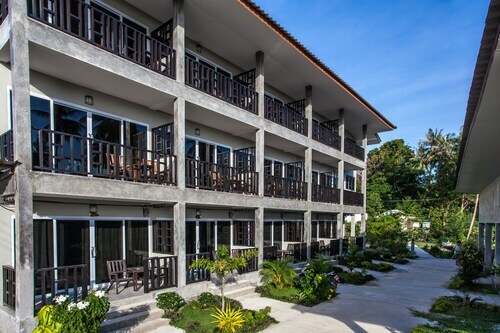 Situated in Koh Tao, this hotel is within a 15-minute walk of Koh Tao Post Office and Sairee Beach. Shark Bay is 1.5 mi (2.3 km) away. 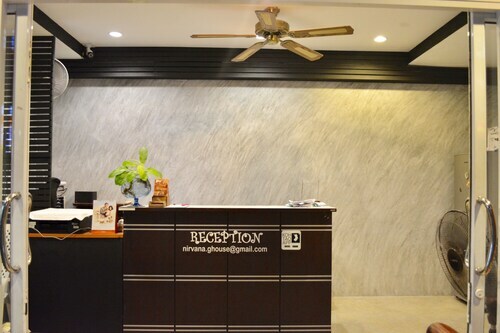 Situated in Koh Tao, this hotel is within a 15-minute walk of Koh Tao Post Office and Sairee Beach. Shark Bay is 1.4 mi (2.3 km) away. 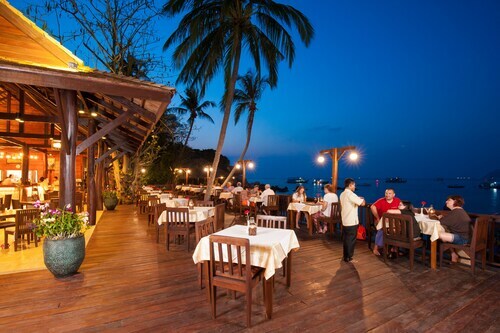 Nestled on the beach, this Koh Tao resort is within 1 mi (2 km) of Mae Haad Pier and Sairee Beach. Shark Bay is 1.7 mi (2.7 km) away. 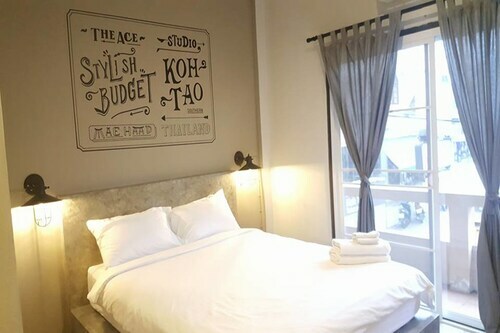 Situated in Koh Tao, this guesthouse is within a 15-minute walk of Mae Haad Clinic and Sairee Beach. Shark Bay is 1.5 mi (2.4 km) away. Situated in Koh Tao, this guesthouse is within a 10-minute walk of Koh Tao Post Office and Sairee Beach. Shark Bay is 1.5 mi (2.4 km) away. 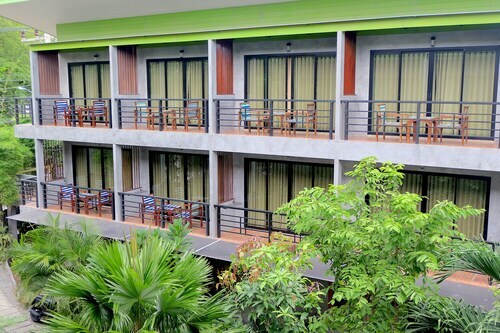 Situated in Koh Tao, this hotel is within a 15-minute walk of Mae Haad Clinic and Sairee Beach. Shark Bay is 1.4 mi (2.3 km) away. 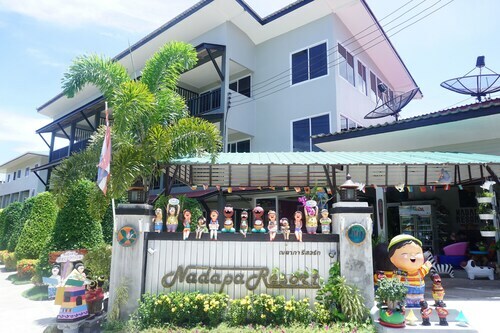 Situated in the business district, this guesthouse is within a 15-minute walk of Mae Haad Clinic and Sairee Beach. Shark Bay is 1.4 mi (2.3 km) away. 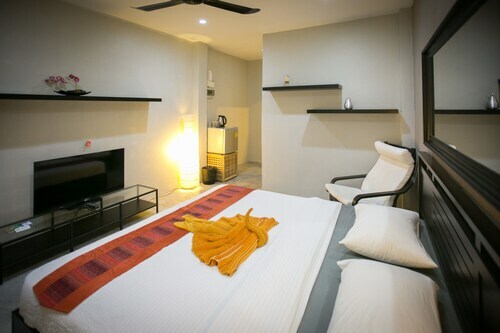 Located in the heart of Koh Tao, this spa guesthouse is within a 15-minute walk of Mae Haad Clinic and Sairee Beach. Shark Bay is 1.5 mi (2.4 km) away.